This isn't a hard choice,considering that the majority of the females in otome games are,well,uncool to my standards. Christina from The Second Reproduction.She was the first strong female character I've seen in otome games and probably because of that - my favorite.I also liked her character development through the game. I second that! Plus, you know, I find military uniforms very cool. I find military uniforms very cool. I thought I was the only one .For some reason I love police and military uniforms :oops:. Um, couldn't tell, because most Otome game protagonists seem overly fragile and naïve... Maybe Alice, because she has some funny reactions and isn't weak. i agree with christina from 2nd reproduction..shes a tough one unlike the others and the story was pretty funny too. Gotta say Lulu from Wand of Fortune. I mean, she's probably my favorite character in the series. xD She's just so genki desudesu~. Acacia's tough, rough and doesn't hold back, but she also has a really cute sensitive side to her. Lulu from Wand of Fortune! She's cheerful and just awesome Not to mention her pretty clothes! Christina. Definitely. Haven't played The Royal Trap yet, but I have a feeling I'll also like Madeline. I really liked the protagonist in a2 ~a due~ as well! My favorites probably Tousaka Hiyoko from Hatoful Boyfriend lol. All her 4th wall breakings and such are so hilarious. I've also been playing Always Remember Me And I like the heroine of the game alot too. She's mature and loves writing, and I just love that! That character had a lot of insecurities :c but damn was she <emphasis on> ROUGH AROUND THE EDGES. Madeleine Valois for the win!! I really do like Christina from TSR. She's strong willed but can be vulnerable, and really tries to do the right thing. I'd also like to say Alice from Heart no Kuni, even with her sister complex which is completely justified. I'd think we'd get along pretty well too. Saefiya wrote: I really do like Christina from TSR. She's strong willed but can be vulnerable, and really tries to do the right thing. Quinrose usually does good by their heroines. I haven't got to play them all, but I'm rather fond of Alice, Shelia and Wendy. They're nice strong female characters. I liked Himeno Kyouko from Glass Heart Princess. Even if she is a sheltered oujousama, she is strong-willed and thinks like a man. She does like an average girl. Not even fragile despite her condition. She is an awesome heroine. I haven't gotten that far in Arcana Famiglia but I'm liking Felicita so far, being kickass and all. 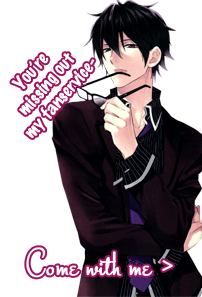 In the otome I'm currently playing (Lucky Rabbit Reflex! ), the heroine (She's nameable. I went with Clover) is extremely realistic as a teenager. She has typical teenage girl thoughts, about how she actually wants the boys, instead of other otome where the protag ends up super duper surprised when a boy confesses to her. I love it, it's really great. I wish more otome were like that, since it reminds me of how I would act . Nicole from.. well, Nicole. I like how they portrayed her appearance and personality.